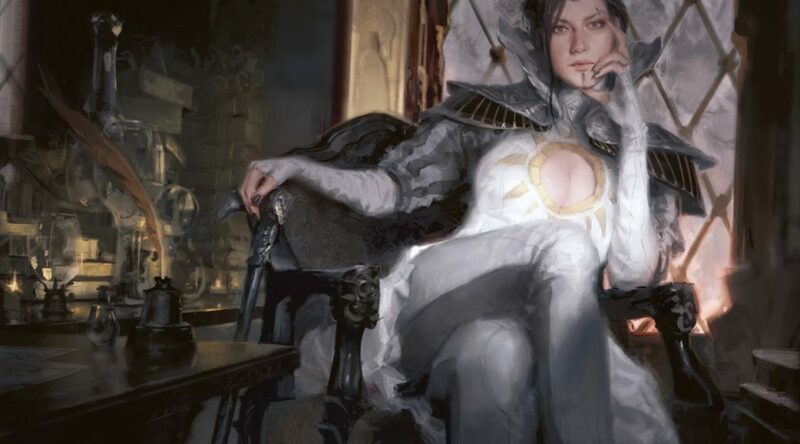 I wrote an article where I talked about what I thought, as a person who thinks he understands this format of EDH (you agree because you’re reading my article) people were going to play in Teysa Karlov decks. I was mostly right. I mean, I was right right. I didn’t say anything I didn’t see in multiple decklists online. However, now we have EDHREC data aggregating the data for us and I don’t even have to guess half as much as I did before. This is a very good thing for everyone involved. Let’s go back over the data now that we have it and see if there is anything else we can coax out. I mean, I do, what, 5 picks? We can find 5 picks I missed, let’s be honest. If not, I’ll do 3 picks, change the by-line to “Travis Allen” and no one will even notice. This is where you say “SHOTS FIRED.” I kid, obviously. He’s in our top 3 writers, and if you read his article twice it’s like you’re getting 6 picks, which is more than I do. So what makes me want to look at Teysa Karlov rather than the more popular Vannifar? Did no one build Vannifar this week? Of course not. 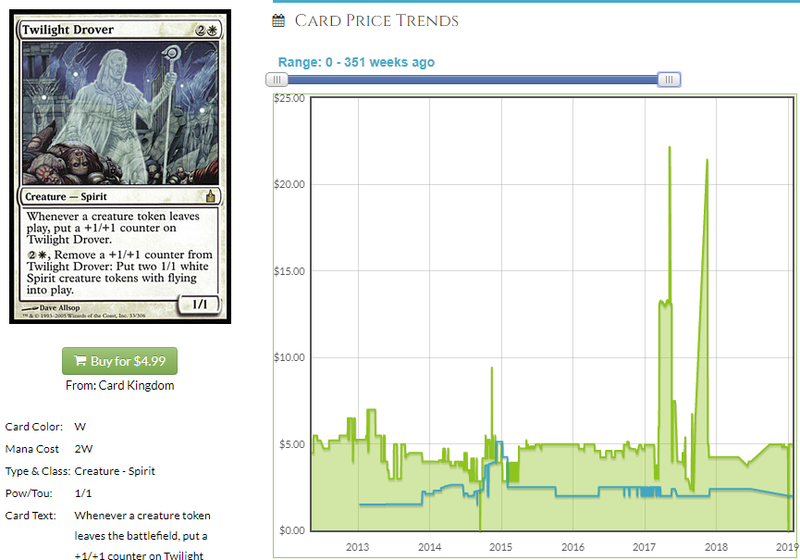 We’re just not getting the data in, yet, and Teysa Karlov being more popular than Atraxa and Muldrotha is kind of a big deal. Teysa was the #1 submission this week and 50 decks is plenty of data to look at. While we’re looking at a complete dearth of Vannifar decks in the database, let’s address some concerns surrounding using EDHREC as a data source. Yes, I think it’s less than ideal that we’re not getting every possible deck from every possible database. No I don’t think that skews our data. I think incomplete data sets are not ideal, but I think what we’re doing is using the database to identify cards we may not have thought of on our own as inclusions and looking at the percentage of decks playing those cards. We can also look at their synergy score to differentiate between Orzhov staples like Mortify and Teysa staples like Requiem Angel. Our data isn’t skewed by being incomplete unless we’re somehow missing an entire demographic of EDH players and even then, missing their data doesn’t mean our conclusions are wrong, just incomplete. Missing something isn’t that bad. It’s better not to miss things, but it’s not a problem if you’re hitting other cards. We can’t buy everything, so as long as we can identify buying opportunities from the data we have, opportunities we miss aren’t a problem. 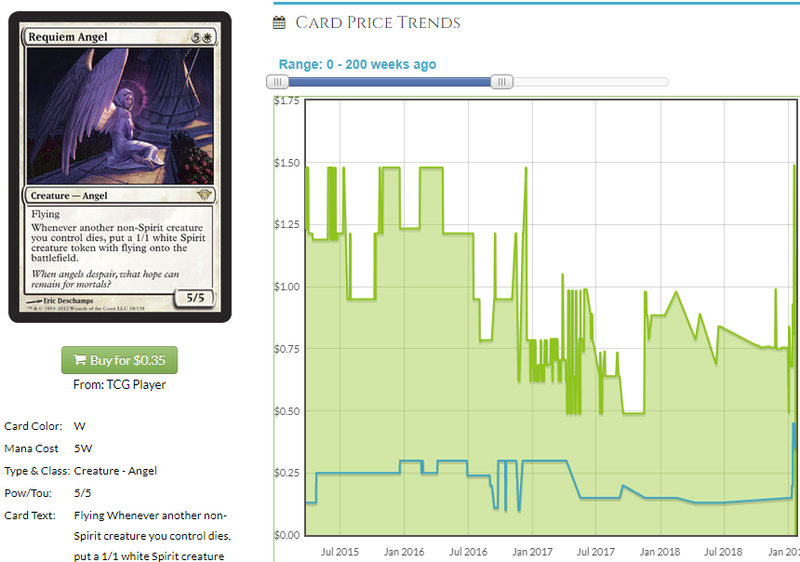 My hit rate for specs went way, way up when I started using EDHREC data, not down, so I feel comfortable making recommendations based on getting a glimpse into what the masses are doing. If you think 50 decks isn’t enough, I would say don’t use the 50 decks to rule out something you think is good in the deck, then. Something being missing from a small sample size data set doesn’t mean that thing won’t be in a larger data set, but it’s unlikely something will be over-represented in a smaller set to the extent that the card will be a bad buy, especially since those errors have a mechanism to correct themselves in the form of people seeing the card in the REC list and saying “I guess that goes in the deck” and buying it. More data will continue to trickle in, but until then, we can absolutely learn about how people are building this deck by looking at what we have so far. I have talked about this before but some of you are new and all of us could benefit from a refresher. If you look at a card in a deck on EDHREC, you’ll see two numbers. By “in a deck” I mean on the page for that deck’s commander. This is 101 stuff but it’ll go fast, I promise. Click on this link and it will take you to Atraxa’s page. Make sure you’re on “view as Commander” because that will show you the cards that are in an Atraxa deck. The cards you see are all average inclusions in Atraxa decks and they will have two numbers under them. The first number is the raw percentage. 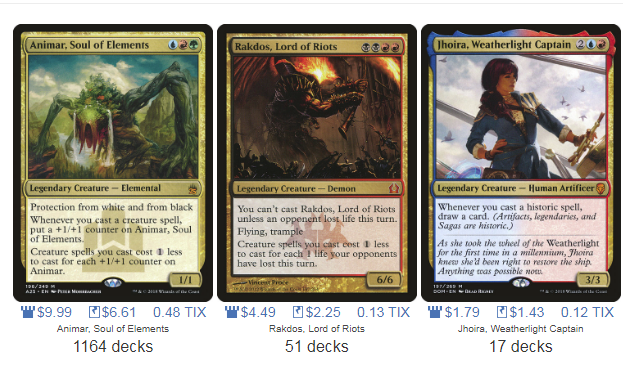 Of the 5,369 Atraxa decks we’re analyzing, 42% of them run Biomancer. The +4% synergy score shows how unique to Atraxa decks Biomancer is. For most decks, Sol Ring will have a -1% or -2% score because it’s in almost every deck and isn’t an Atraxa staple. Cards very specific to Atraxa will have a higher number. The higher the number, the more it’s likely to only be in that deck. 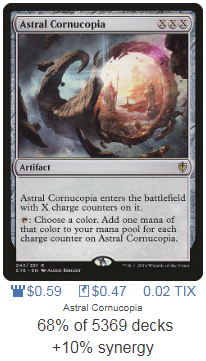 2/3 of Atraxa decks run this card and the +10% synergy score indicates it’s more unique to Atraxa decks than Biomancer, which has more appeal in other decks outside of Atraxa than Cornucopia does. This is easy stuff but it’s worth defining and it will help us when we look at Teysa cards. Cards with a high synergy score are inclined to move just on the basis of that one new card and a high synergy score could indicate overlooked and underpriced cards that are inclined to move in price on the basis of not getting played much before. +10% isn’t a huge number, and the sheer variety of possible Atraxa decks makes it tough for anything to be an auto-include. Let’s look at something a little more “linear” to build. 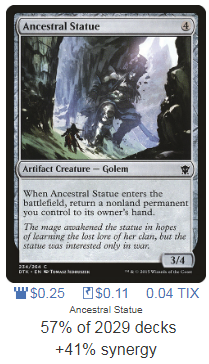 Here is Ancestral Statue in Animar decks. 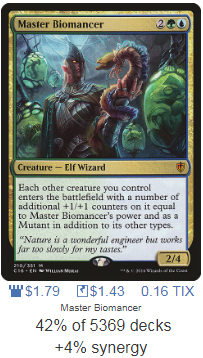 Clicking on this card will take us to the card’s page where, unlike viewing a Legendary creature as a Commander to see the cards it’s in, we’ll look at a card to see the decks that have it included. Clicking the Statue takes us to a page that shows us that Statue is very much a Animar-specific card. This is Statue’s Top 3. It’s 22 times as likely to be in an Animar deck than in its second-most-common deck, Rakdos. That 41% synergy tells us as much without us having to click on every card and check our work like this. Do I know how the synergy score is calculated? No, and it didn’t occur to me until right now that I didn’t. I can find out, but since we’re mostly using it as a “is this number bigger than that number?” right now, it isn’t that important for you or even me to know how the sausage is made to that big an extent. 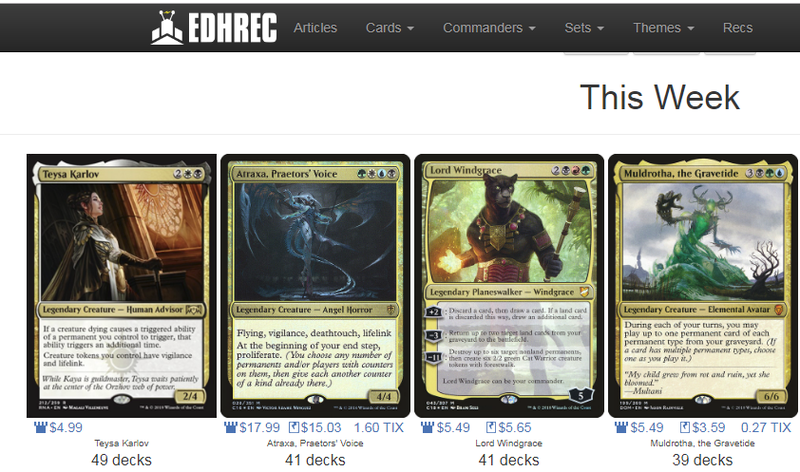 If you want me to write a primer article on EDHREC data calculation, let me know and I can try and get the info. But if you’re like me, you just want to know you can trust a metric and I trust this metric. A high synergy score may be a tad misleading when we have a small number of decks, but there is always risk in speculation and since we can cross-reference the inclusion percentage to “rank” the high synergy cards, we can mitigate that a bit. One lunatic jamming Sorrow’s Path in Atraxa will give it a high synergy score but low inclusion score. 1 inclusion won’t show up on Atraxa’s page with it’s 5,300 decks, but for 49, we may have issues. A high synergy, high inclusion card is going to be something we can say is going to have its price pegged directly to the popularity of Teysa decks and the more those get built, the more than card goes up. I think we can find a few high synergy, high percentage picks. Foils of this card as hard to price because no one is really listing them on TCG Player. It’s clear the price is up but it’s to the point where the only listings are people charging $6 and people charging $0.50 with $4 shipping. 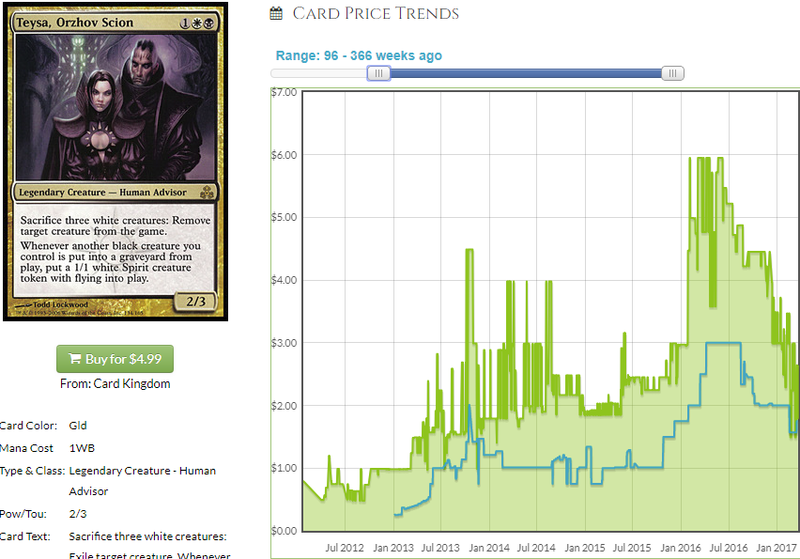 CK has foils for $3.50 and that’s about what the TCG average is, but TCG only has 4 listings. 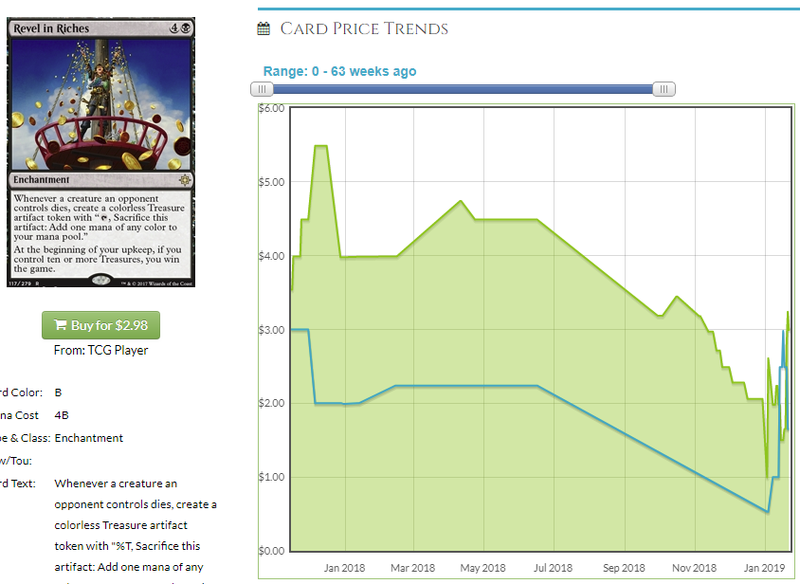 TCG Prices are great most of the time and since there are a lot of data points, it seems “fair” to trust their market price, but situations like this are weird. If this gets used a lot, it could hit $5. Also, foil Revel in Riches, a better card, is like $4 everywhere. Does that mean buy foil Revel in Riches? I don’t know, how do you interpret a scenario where foil Pitiless Plunder is $3.50 and foil Revel in Riches is $4? One of those prices is bound to move. Or both? Does Teysa reward us for playing both of those cards (yes). 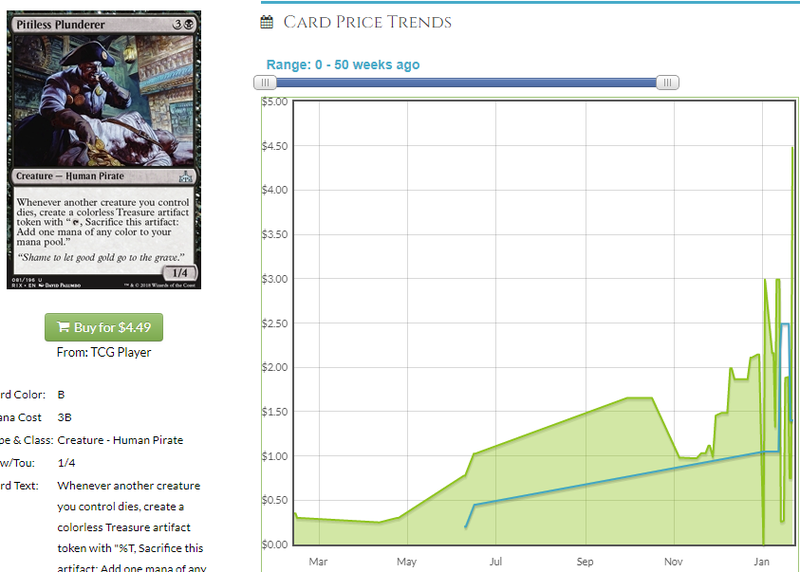 Foil Plunder is near a historic high and foil Revel is near a historic low but is rebounding. I think we have an opportunity on both of these cards. For the record, the score on Revel is not high enough to show up on Teysa’s page, but we said we wouldn’t let that bog us down, right? Absence of evidence is not evidence of absence. Now, Plunder triggers from YOUR creatures dying and Revel triggers from THEIR creatures dying but that doesn’t matter, Teysa doubles both. Grave Pact means it gets nuts. You sac a creature, Grave Pact triggers, Teysa triggers doubling Grave Pact, Plunder triggers, Teysa triggers doubling Plunder. Plunder resolves, giving you two treasure. Grave Pact resolves, two of their creatures die. Revel triggers, Teysa doubles Revel, Revel triggers again, Teysa triggers again doubling Revel. You add 4 treasures. You’re 6/10 of the way to winning the game. Revel will show up in Teysa lists. It already is. I wrote about it on Coolstuff this week and that gets a few eyeballs on it so people will see it in a list there, also. I think this is also a buy, and it probably has a higher ceiling than Plunder. Foil Drover is at its historic average. Those funky spikes are hard for me to explain and I won’t try, but I don’t like non-foil Drover due to the reprint. I also don’t like foils because I think EDH demand for foils is way overstated. That said, Drover is pretty damn good in Teysa decks. Sac a creature to Ashnod’s Altar and one to Phyrexian Altar. Teysa puts two counters on Drover. Use the mana to make 2 1/1 spirits and Drover is now a 2/2. Sac the spirits for mana, put two counters on Drover, use 1 to make spirits. Repeat until Grave Pact has wiped the board and Drover can 1-shot anyone at the table. These numbers will shrink when we get more decks in the database but for now, WEEEEE. Teysa is good in this deck, obviously, and I think having the option to get the “oops, I win” combo with Darkest Hour and Blasting Station but with the added benefit of having a better commander than Teysa, Orzhov Scion is. Stay away from the $39 foils, probably. This is a pretty cheap foil. Non-foils got a reprint but I think given the foil is near a historic low and this card is pretty damn good in a Teysa deck (don’t forget, Teysa also gives token creatures Lifelink and Vigilance, because of course she does) I could see this getting a bump. When there isn’t much difference in price between foil and non-foil, sometimes people buy foil because why not, and the prices diverge a lot. Also, foils sell out faster and easier. This is 6 mana, but a deck with both Ashnod’s and Phyrexian Altars won’t mind. This is a good pick imo. Or not. What do I know about foils? I’m just using the metrics I set out for myself. In conclusion, there is money to be made as a result of this deck and I wouldn’t have picked any of those 5 cards and in fact did not on the basis of what is “Intruder Alarm” obvious. This one could be controversial – argue with me in the comments if you want. Until next time! Previous PostThe Watchtower 1/21/19 for ProTraders – Plan Your SpecsNext PostTime to buy GRN! From the Top Commanders page of EDHREC it says Teysa has 49 decks, but when I view her as a commander, it drops to 6 decks. And when I view her as a card, it still only lists 13 decks. I’m wondering where the difference is coming from? It definitely could be an aspect of the site I don’t understand. I’m just trying to figure out how reliable this fresh data is. Thanks! We are goofing with the code right now trying to implement new features and I bet that’s the culprit. I didn’t even notice the discrepancy!